You asked for it | JustJill! Be careful what you wish for, Jillsters. I may just grant it. Today was spent finishing up an article for the newspaper, researching my new submission to the magazine and wrangling up some wayward throw pillows. One of this month’s projects has me all up in a happy frothy lather. 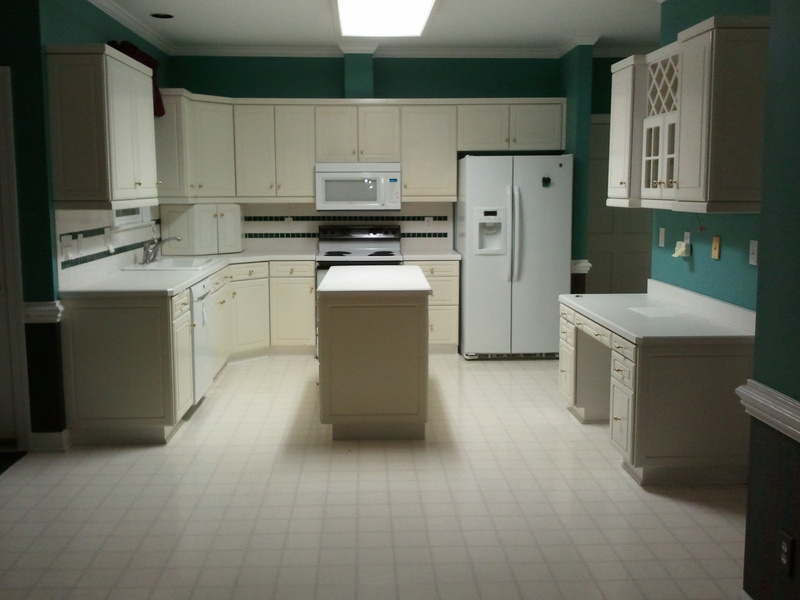 I am redoing a kitchen but the wild part is that I have already done this kitchen layout in a previous home. The first time I walked into this house, I scowled and looked at the home owner. “Wait.” I said. “I already DID this room. Who put it BACK?” The results here should be pretty dramatic and the contrast between the remodel should be even better.